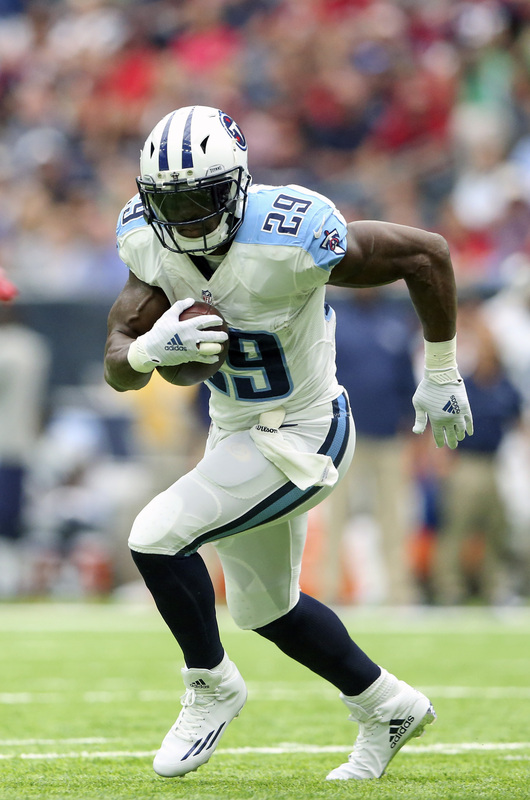 DeMarco Murray will not be part of a third Titans team. Tennessee made the decision to release the veteran running back on Thursday. No additional guaranteed money remained on Murray’s Eagles-constructed deal, and he will venture into free agency again — this time as a street free agent. The Titans will save $6.5MM by releasing their two-year starter, who did not perform as well in 2017 as he had during a Pro Bowl 2016 slate. The team will now turn to Derrick Henry, who ate into a bigger portion of Murray’s workload in his second season. With free agency less than a week away, Tennessee is now projected to hold more than $53MM in cap space. A three-time Pro Bowler, Murray turned 30 last month and has now averaged 3.6 yards per carry in two of his past three seasons. While his previous two even years — a first-team All-Pro appearance with the Cowboys in 2014 and amassing 1,664 yards from scrimmage two years later — have been superb, his work with the 2015 Eagles and ’17 Titans don’t paint a portrait of reliability. Although, this free agent running back class is not particularly strong. Murray could generate a market, albeit one at a much lower rate than what he commanded from the then-Chip Kelly-run Eagles three years ago. Obvious move to be made. They will sign a pass-catching/blocking back like McKinnon or Lewis or draft a guy in the third. Why? They won’t pay age. Lions.. they need a RB. Been the same story for how many years? He’s a stop-gap at this point, but squeeze a year or two out of him. He’ll sign with Seattle or the Rams! He should sign up with the Packers, it would be a win win situation he could be gotten for less than premium and yet if he can catch passes he would be a dynamo on the run.